Is it true what they say, that boys give you beauty? 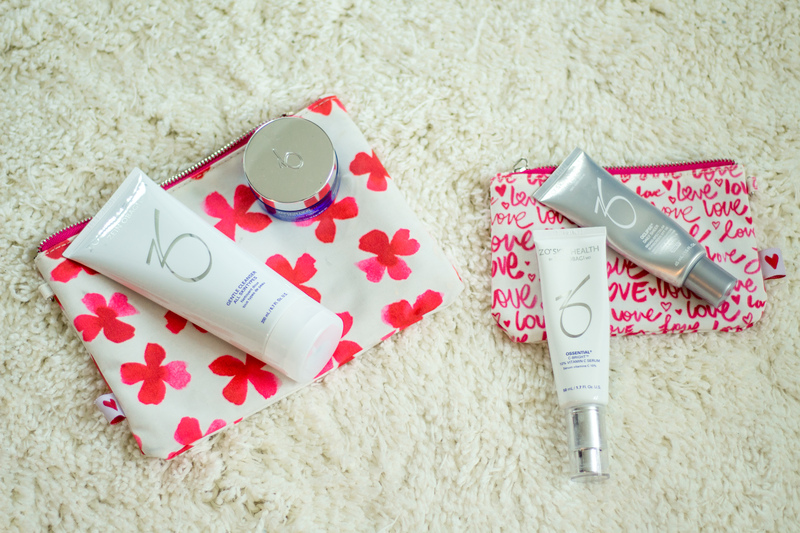 Or do I owe it all to these ZO Skin Health products from Rejuvenate MD? I have been using some amazing products for about 6 weeks now, I wanted to give them a good chance to make a difference, see if I noticed a change, what I love and don’t love about the products before giving you all my opinion. I have partnered up with Rejuvenate MD which is local to the Richmond area. They do everything from skincare treatments, botox, coolsculpting, lasers, peels, to weight loss and more. I sat down with them and went over a lot of my skincare concerns, and what I wasn’t happy with, and they couldn’t have been more kind and willing to help me get where I want to be. 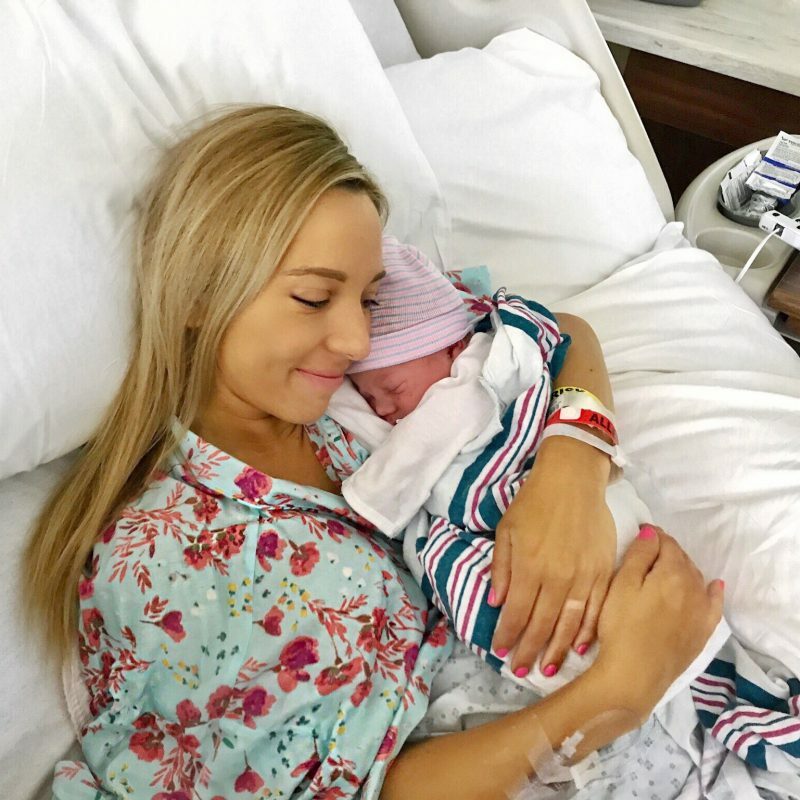 Obviously, our number one concern was making sure everything I was using was pregnancy safe, so we started with a brightening skincare routine that I can’t wait to tell you about! I was gifted these products but I wanted to write this post on my own and share my real thoughts behind the product even though I was not compensated to do so. I’ve tried so many skincare products over the last few years, I’ve even sold for Rodan + Fields. I have been gifted tons and tons of skincare products and some are great and some are just not worth the money. These 4 products above are how I start my day every day! I have very “normal” balanced skin, don’t tend to break out much in my adult years. I do however have melasma, which you may have heard referred to as “pregnancy mask.” It is sooo frustrating, and hard to get rid of. Basically, its skin discoloration, dark spots and patches typically on your face. I have had this for a few years now likely because of my two recent pregnancies, and just all the hormones that go along with it. So this was my main concern when sitting down at Rejuvenate MD, and why they started me on this specific routine. STEP ONE: My first step in the morning is washing my face with the Zien Obagi Gentle Cleanser. It smells good, you don’t need much, its really fresh and truly gentle like it says, but definitely gets the job done. It removes all my makeup, and doesn’t leave my skin feeling dry – just actually clean. Every few days I’ll use my Clarisonic Mia 2 with it, just for a little extra exfoliation and softness. STEP TWO: (I use this 1-2 times a week, and skip this step on off days) The second step is washing my face a second time with the Zein Obagi Exfoliating Polish. Oh my gosh this stuff is literally amazing. I actually probably don’t use it as much as I should because I never want it to be empty. It’s not course at all, smells really good, it feels great on my skin when I’m washing with it and my skin is so freaking soft afterwards. It’s by far my favorite product in the bunch and I think its a great product for anyone to have. STEP THREE: Zein Obagi’s C-Bright Serum with Vitamin C. This is the white bottle you see above, and its just a simple lightweight lotion you put on after cleansing when your face is dry. I don’t feel weighed down by it at all and love the way it feels on my skin. STEP FOUR: Sunscreen! 4 steps may seem like a lot in the morning, but with these products it really doesn’t seem like it at all. Obviously a skin cleanser is necessary, you don’t do step 2 but a couple times a week, and 3 & 4 are just lotions! You may already wear sunscreen under your makeup every day (if not I would definitely recommend it!) but I learned something really important about sunscreen that I didn’t know before. This sunscreen is the Zein Obagi Oclipse Daily Sheer Broad SPF 50. 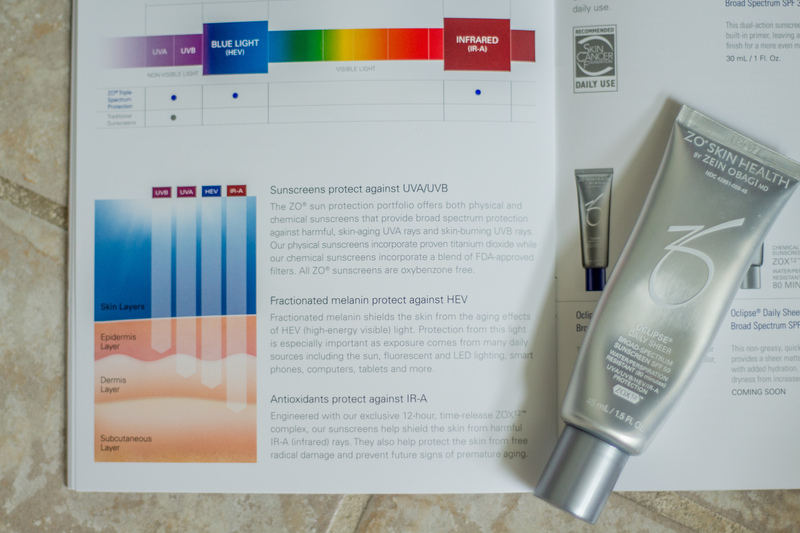 I wanted to show this pamphlet because since this is where I get so much of my skin damage from, I want to make sure that I’m avoiding adding anymore at all costs. I always thought there were only 2 types of UV rays… UVA and UVB. However there is actually HEV (high energy visible light) that can be very damaging to your skin – and guess what? It comes from florescent lights, cell phones and computers. I literally had no idea, and to think of how much time I spend in front of these things everyday. Needless to say I NEVER skip this step! STEP ONE: Cleanse! The nighttime routine is so simple, which is great because at night when it’s time for bed I tend to be super lazy about washing my face and not hopping right into bed. I have been much better about this lately, especially if I had makeup on that day. I cleanse just like I did in the AM to clean anything off my face that may be on there from the day. STEP TWO: Zein Obagi Brightalive Serum. This is just an easy little lotion that goes a long way, and stays on my face all night. It goes on smooth and while you can feel it on your skin, you still feel fresh and clean and like the serum is like a protective layer getting to work while you sleep. So that may seem like a lot of info, but I wanted to be thorough on what I do every day. It actually doesn’t take long at all, and I’ve noticed over the last few weeks that I have put on less and less makeup, so my morning routine really hasn’t gotten any longer. I truly am impressed with these Zein Obagi products and how gentle yet effective they are. My skin is far from perfect, and my melasma isn’t gone. However, it is not getting any worse being out in the sun and I do think a lot of the darkness has lightened. Last year when I was pregnant with Brooklyn and we went to Disney World, I wore what I thought was a heavy duty sunscreen on my face, topped with SPF makeup, and I wore a hat and sunglasses to avoid the bright Florida sun and more damage. But honestly, even though my whole face was covered, my dark spots still worsened, and it was really disheartening. This year, using these products and this particular sunscreen, and sometimes a hat or sunglasses, my face is not getting those dark spots and like I said overall my dark patches have actually lightened over the summer. I’m seriously super impressed. While these products are not cheap, they are extremely effective, and I honestly don’t need or use any other skincare products. I put primer and makeup on certain days when I feel like I need to get ready, but I am feeling more and more confident being without makeup, and that’s huge for me! 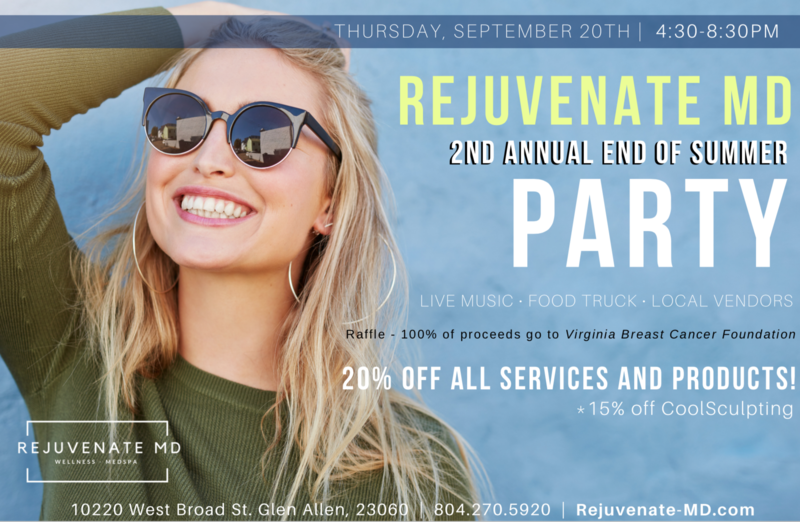 Rejuvenate MD END OF SUMMER PARTY! If you have any questions at all about these products, or are local to Richmond and want more information on Rejuvenate MD, please shoot me and email or leave me a comment. Their staff is seriously amazing and they have one of the very best medical directors, Dr. Lonny Green. 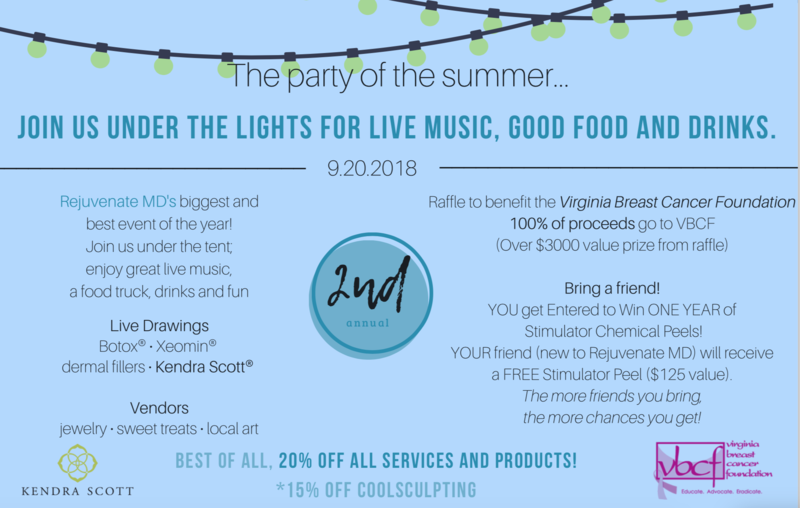 They are having a huge end of summer party, where there will be food trucks, jewelry, music, and raffles where you can win some amazing skin care treatments! All the details are below, I hope to make it there myself and bring the kids! I know you said this place is local to Richmond, so I’m shocked I’ve not heard of it! Now I’m super intrigued haha! Your skin always looks incredible to me, and now that I know your secrets, I wanna try all these products too! Glad to hear you found products that are working well with your skin! I’ve been on a skincare kick lately, these sound amazing! What a great routine you have! No wonder your skin looks amazing! Such great products! This is going to be so useful for so many expecting mamas! Sounds like so many good products! I need to check them out, I’ve been looking for new products!